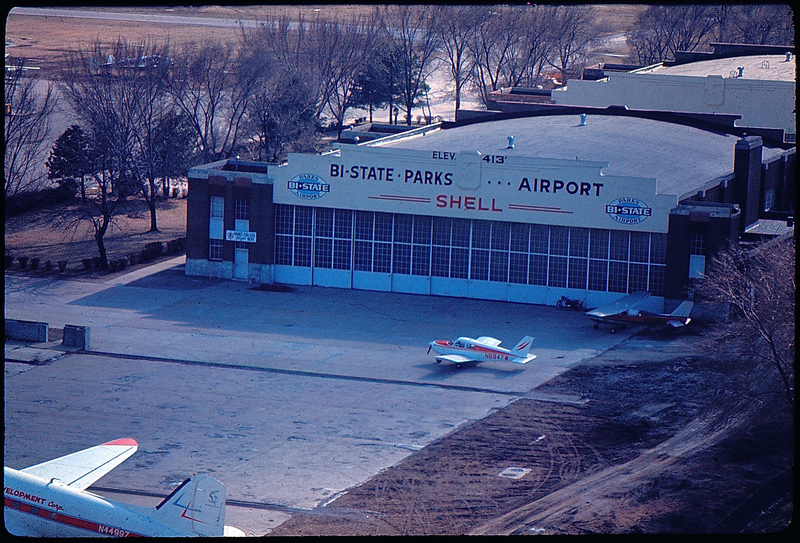 The airport opened as the Curtiss-Steinberg Airport in 1929. The airport was developed by a business consortium that included Mark Steinberg, a St. Louis financier, (also of Steinberg memorial Skating Rink fame), Curtiss Wright, an aircraft and engine manufacturing firm, the Transcontinental Air Transport Service, (which later became TWA), and the Pennsylvania Railroad Company. 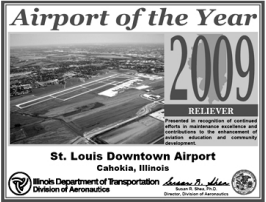 The group’s purpose was to provide the St. Louis area with a high-quality air terminus, offering paved runways. Initially, the airport had three runways, each 1,650 feet in length, and four airplane hangars. Three hangars had 14,000 square feet and the fourth had 44,000 square feet. As a modern full-service facility, it even offered a full service restaurant. 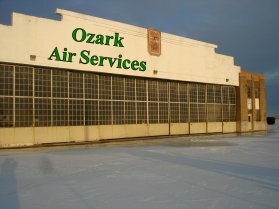 Two of the original hangars are still in use today. In August 1930, a lighting system, the only one of its kind in this part of the country, was used for the first time with several test flights using a Curtiss Robin airplane. The lighting system included boundary lights, two floodlights, a revolving beacon, and a light for determining cloud ceiling. Early airline operations were conducted by U.S. Airways, TAT-Maddux, Curtiss-Wright Flying Service (charter flights), and Shelton Airlines. Columbia Airlines was added in 1935. Carl “Chub” Wheeler learned to fly at Curtiss-Steinberg in 1934 in a Curtiss Robin airplane and became a flight instructor. 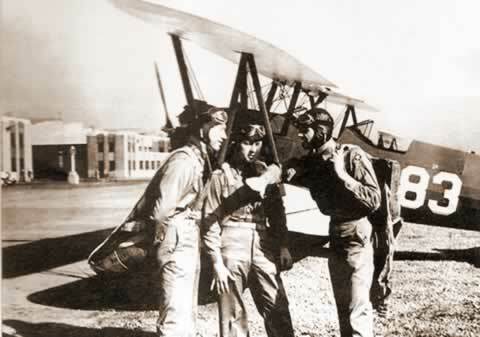 “Chub” and Bill Hart operated the East St. Louis Flying School charging two dollars per flying lesson. Their center of operation was Hangar Two. “Chub” could still be found around Hangar Two serving as a volunteer and a member of the Board of Directors of the Greater St. Louis Air and Space Museum, until his death at the age of 103 in late 2015. He celebrated his 100th birthday in 2011 by piloting the EAA Ford Tri-Motor from that same Hangar Two location.